Enrique Leal is a visual artist and assistant professor of print media in the Art Department of the University of California, Santa Cruz. 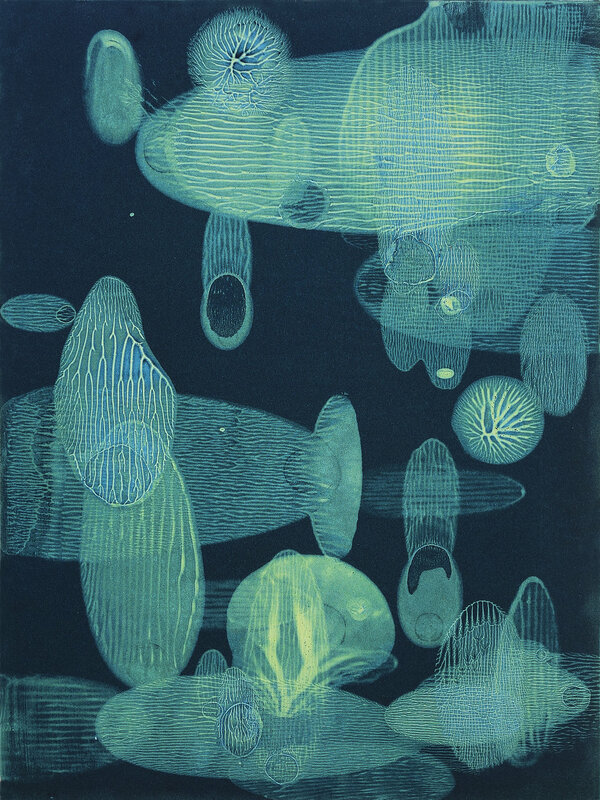 Originally from Recife, Brazil, he is the recipient of fellowships from the Ibero-American Institute and the Spanish Academy in Rome, and is a visiting artist/teacher at the Rutgers Center for Innovative Print and Paper, Rutgers University. Leal’s work has been exhibited and is found in collections in Argentina, Brazil, France, Hungary, Spain, and the United States. Brandon Lingle’s essays have appeared in various publica- tions including the American Scholar, the Normal School, Guernica, the New York Times blog At War, and North American Review. His work has been noted in five editions of The Best American Essays. An air force officer, he’s served in Iraq and Afghanistan. A California native, he currently lives in Texas and edits War, Literature, and the Arts. This essay reflects his views alone. In 1953 Lawrence Ferlinghetti cofounded City Lights, the first paperback bookstore in the United States, a Mecca for millions. His Coney Island of the Mind is one of the best- selling volumes of poetry by any living American poet. Born in Yonkers, New York, in 1919, Ferlinghetti has received the Robert Frost Memorial Medal and the first Literarian Award of the National Book Foundation. Nancy Lord is a former Alaska State Writer Laureate and author of three short story collections, five books of literary nonfiction, and, most recently, pH: A Novel. She teaches cre- ative writing at the University of Alaska and science writing at Johns Hopkins University.